Bud Light has worked with agency Seed Marketing to launch its 'We're Here' tour, which forms part of the beer brand's UK launch. The 'We're Here' tour kicks off today (4 April), and will be making its away across UK cities - including London, Manchester, Cardiff, Leeds, Liverpool and Newcastle - throughout the 108-date tour. Channeling an American 'tailgating' theme, which refers to a social gathering hosted at the tail-end of a vehicle, Bud Light will be inviting guests to test out its product alongside classic games and music. The tour aims to create the perfect atmosphere for consumers to try Bud Light, which is currently undergoing its UK launch. 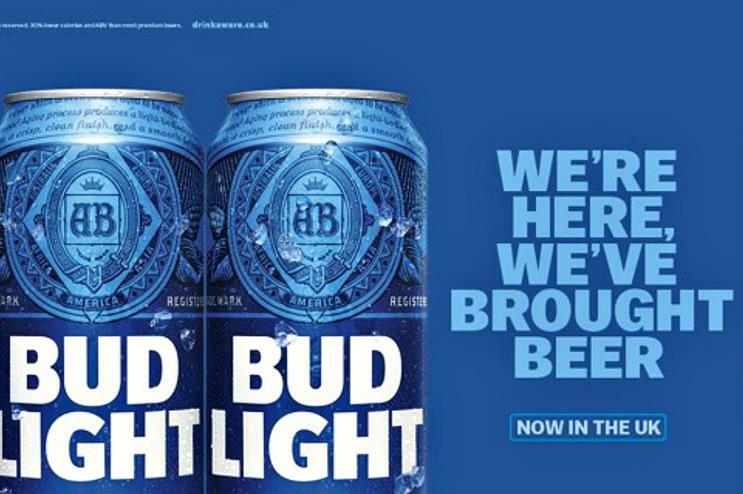 Celia Forshew, founder and CEO of Seed Marketing, said: "For the past few years, we have been lucky to work with Budweiser on their student and music campaigns and are super excited to be helping to launch Bud Light to a wider UK audience. We are really looking forward to the 'We’re Here' tour as it drives home the core values and identity of the Bud Light brand, whilst remaining fun and lighthearted at the same time." In February, Event spoke to Bud Light's marketing manager, André Finamore, about the brand's UK launch and importance of experiential. In December, the brand brought its 'Taste of America' pop-up to London.